First-time campers learn about the principles of flight. Advanced campers with more experience will try out flight simulators and fly remote-control helicopters. Cost of the camp is $300 per week. Full or partial scholarships, made possible by program sponsor Lockheed Martin, may be available for students who receive free or reduced-price lunch at their school. 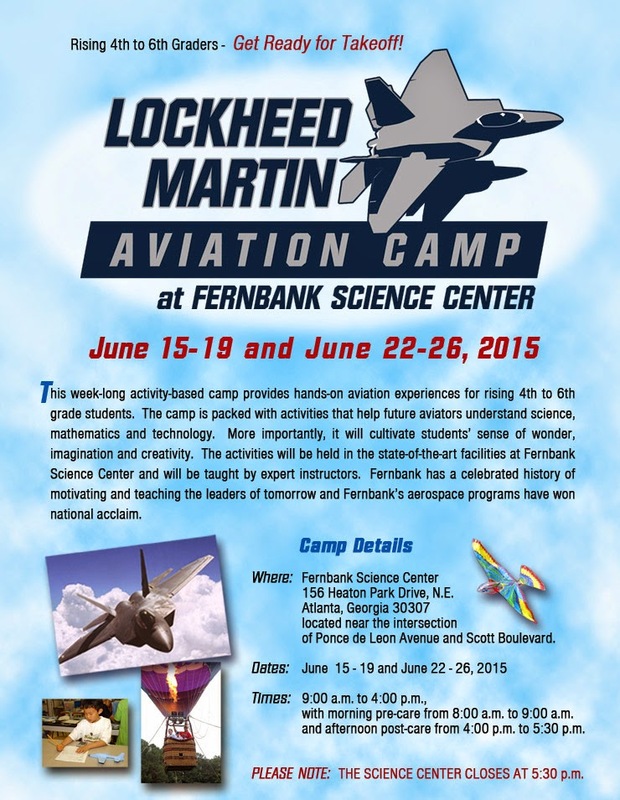 Fernbank Science Center is owned and operated by the DeKalb County School District, but Aviation Camp is open to students from anywhere. Deadline to apply is May 4.